In this section you'll find a range of teas to help with various pregnancy ailments. From heartburn to morning sickness, lack of sleep to raspberry leaf for birth preparation there is sure to be a tea that will suit you. If you're not too sure about herbal teas, we recommend you give these a try - some are really very tasty! A fragrant blend of raspberry leaf, natural flavour and real apple pieces combine to make this delicious tea. 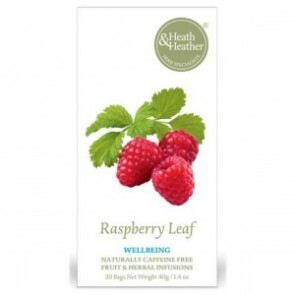 Red raspberry leaf is traditionally valued for its benefits to women in the late stages of pregnancy (from 35 weeks onwards) and this tea is naturally caffeine free. This stainless steel long-handled meshball infuser means making an individual cup of tea is simple. Just open it up, place the tea leaves inside and leave to infuse. It is perfect for our loose leaf raspberry leaf teas.